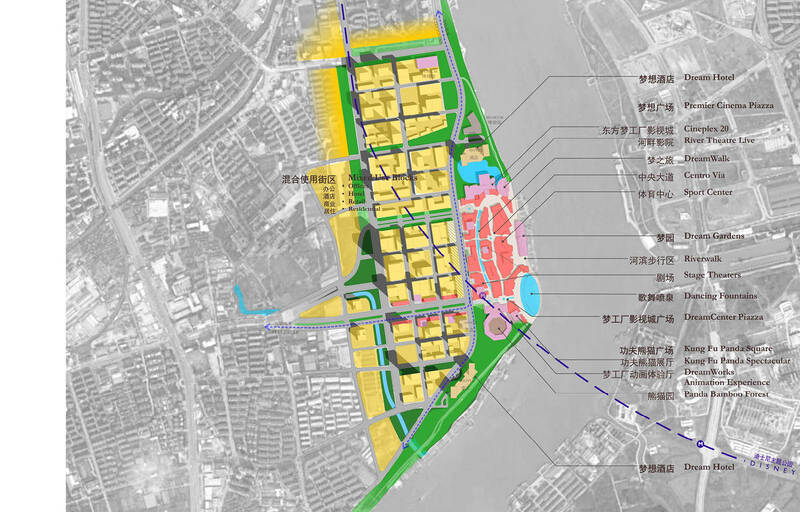 For DreamWorks Animation SKG, Johnson Fain prepared overall development concepts for a new entertainment district on the HuangPu River in the XuHui area of Shanghai. 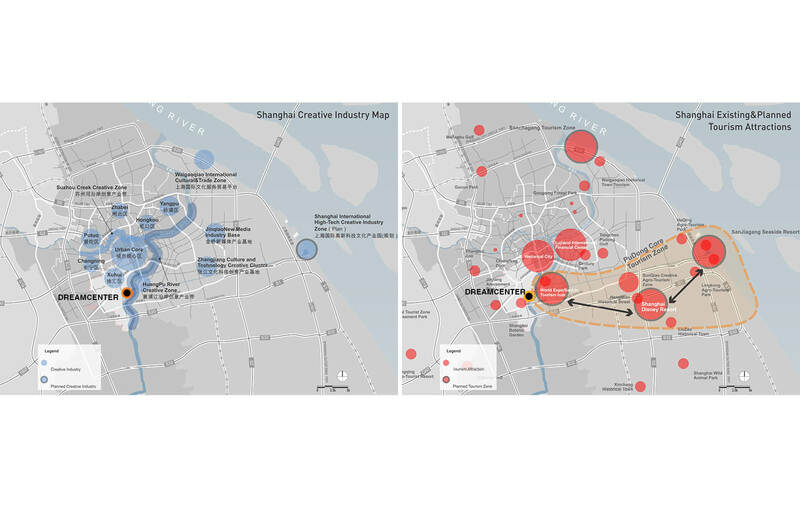 The site was conceived as the public entertainment venue connected with DreamWorks Animation’s multi-part agreement with Chinese partners to develop media production facilities and entertainment outlets in China, of which the Shanghai location would be the first. 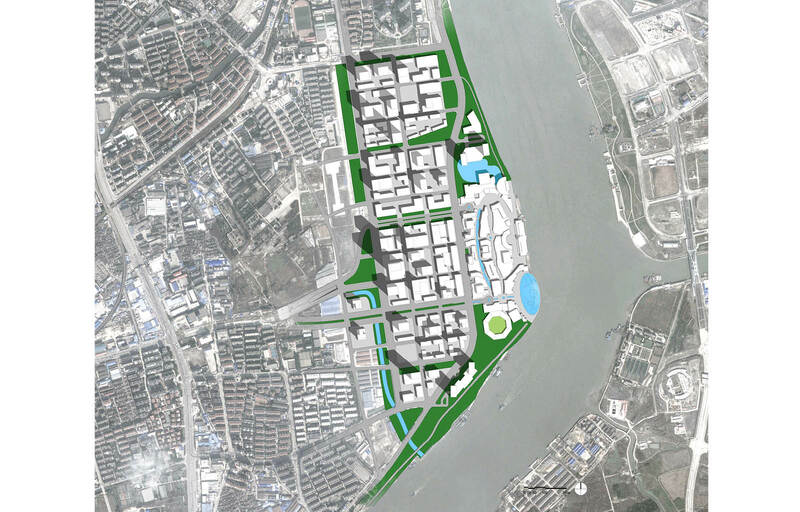 Situated across the HuangPu River from the 2010 Shanghai Expo site, DreamCenter is planned as a major tourism destination within the proposed 105 hectarces XuHui Media Center mixed-use district. 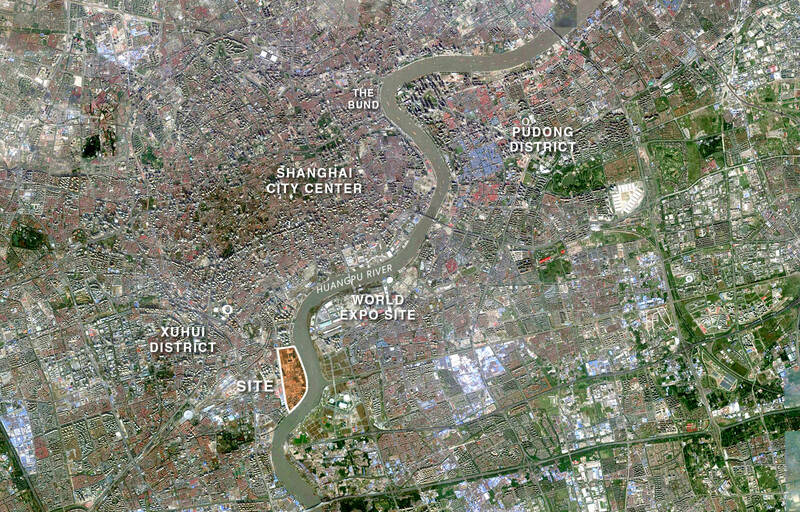 The site is located at the westerly end of Shanghai’s designated Tourism Zone, approximately 9 kilometers south of The Bund. 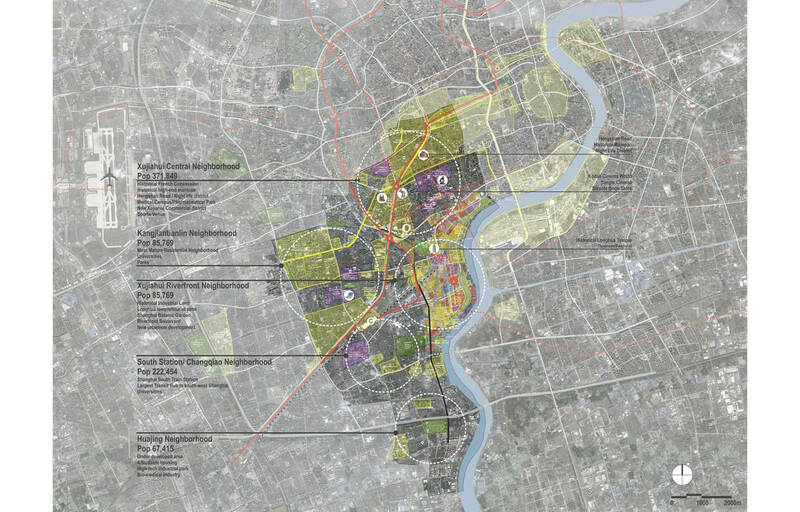 It will be served by a new subway line that ultimately connects east to the new Shanghai Disneyland site and to Shanghai Pudong International Airport. 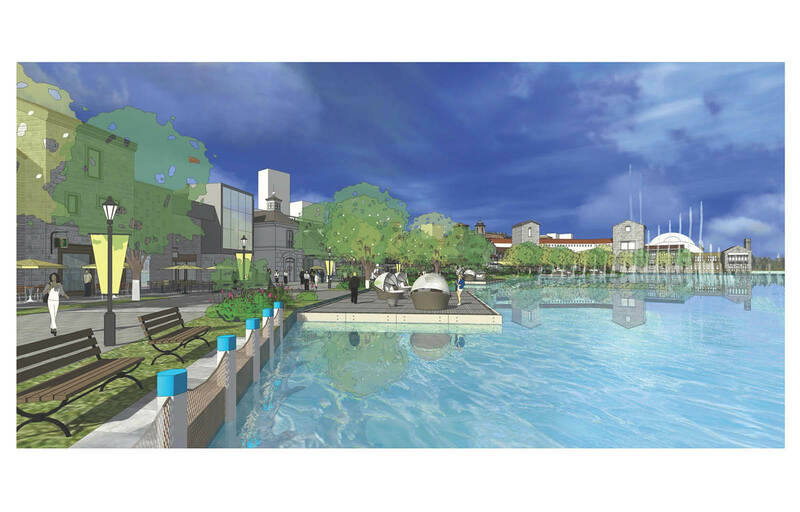 The core of the DreamCenter site is the retail and entertainment center, approximately 33 hectacres on the riverfront. The program includes a major water display, indoor botanical gardens, Kung Fu Panda show (a live Franco Dragone production), legitimate stage theaters, multiple cinemas including the world’s largest IMAX, a DreamWorks animation studio tour, waterfront restaurants on a “RiverWalk” style canal, hotel, and retail uses. 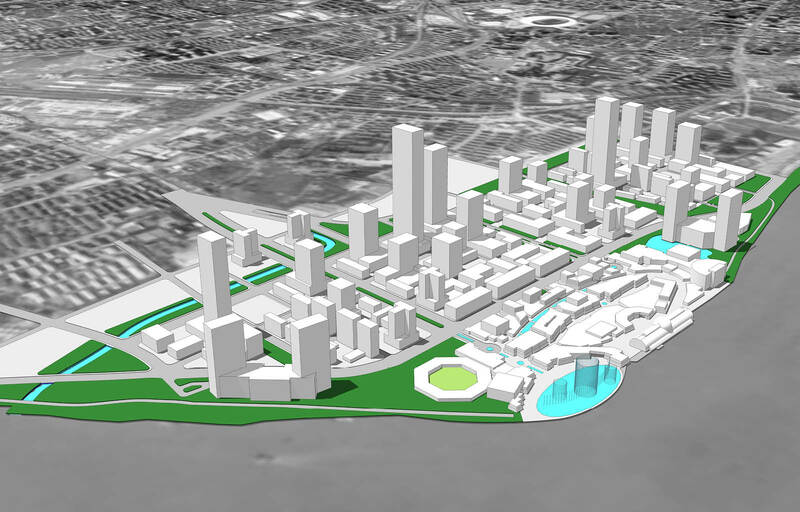 The DreamCenter entertainment core connects directly with the mixed use district to its west, with retail and entertainment uses extending along the major east-west avenues connecting with transit and five major blocks of office and residential uses. The total area at build-out is projected to contain approximately 2.25 million square meters of new development.